All ARBOLEDA UNIT 1 homes currently listed for sale in Mesa as of 04/23/2019 are shown below. You can change the search criteria at any time by pressing the 'Change Search' button below. 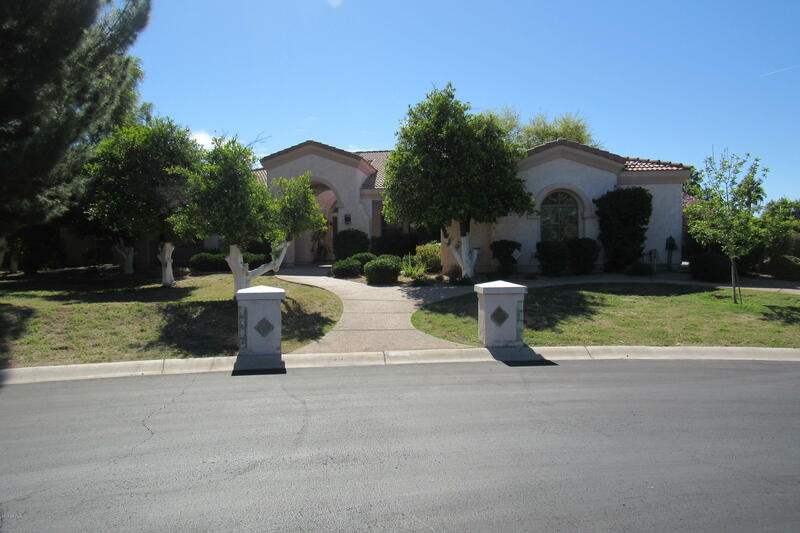 "Luxury 5-bedroom 3.5 bath home nestled in the PRESTIGIOUS GATED NEIGHBORHOOD of Arboleda. Situated on a very large lot. This Stunning home boasts hardwood bamboo flooring throughout and carpet in bedrooms. Split floor plan. Master suite w/separate tub & shower & lrg walk-in closet. Custom office w/built-in bookcase. Formal living & dining rooms. The kitchen is a cook's dream, large breakfast bar, and kitchen island! This beautiful home has so much to offer, and yet leaves room for your vision an"